Current Science - A fortnightly journal of research from India. Digital Himalaya - Dedicated to archiving and making available ethnographic materials from the Himalayan region. Down to Earth - India’s only science and environment fortnightly. Economic and Political Weekly - The Economic and Political Weekly, published from Mumbai, is an Indian institution which enjoys a global reputation for excellence in independent scholarship and critical inquiry. 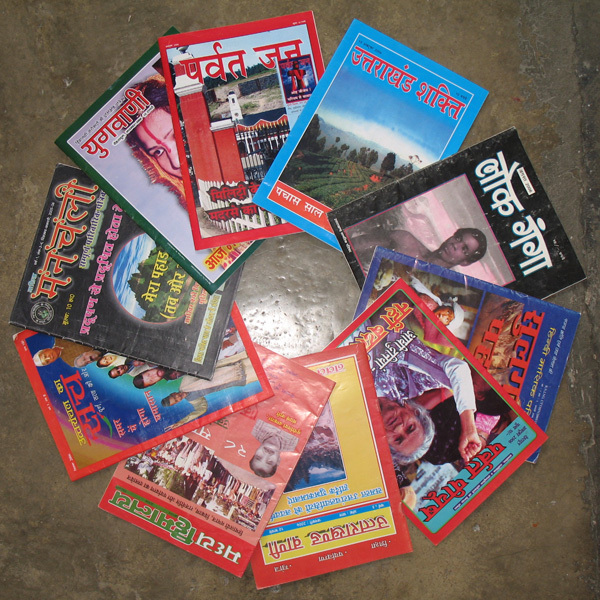 European Journal of Himalayan Research - The subjects covered by the journal range from geography and economics to anthropology, sociology, philology, history, art history, and history of religions. Frontline - Veneral national magazine with dense coverage of politics, economics, and culture. Government of Uttarakhand - Web portal for Uttarakhand state administration and departments. Hard News - A new magazine that tries to give expression to old-fashioned public-spirited journalism that is angry, adversarial and irreverent. Himal - Southasia’s first and only regional news and analysis magazine published from Nepal. Himalaya - The Association for Nepal and Himalayan Studies publishes this peer-reviewed inter-disciplinary journal devoted to presenting original academic research on the region. India Together - Provides in-depth information & news on the issues that matter covering 15 major topics and over 15 states. Janpaksh - Investigative, social journalism from Dehradun. Mountain Research and Development - An international, peer-reviewed open access journal founded in 1981 and published by the International Mountain Society (IMS). Nainital Samachar - Celebrated public interest newspaper from Nainital. Outlook - General interest magazine that carries indepth reports and analysis. Parvat Jan - Hindi news magazine published from Dehradun. Seminar - Attempts a departure from the usual journal. Problems, national and international, are posed and discussed. Each issue deals with a single problem. Tehelka - Tehelka is public interest magazine that has invested heavily in hard hitting investigative reporting and has pushed the boundaries of editorial content further than most. The Better India - Inspirational stories about Indians making a difference. The Tribune - A prominent national paper with extensive daily coverage of Uttarakhand.